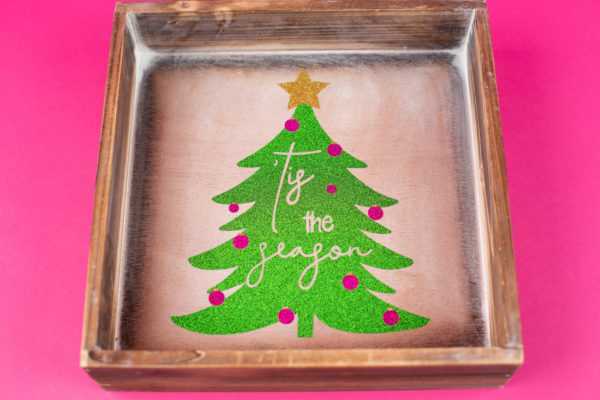 Is there anything better than a sparkly Christmas design?! 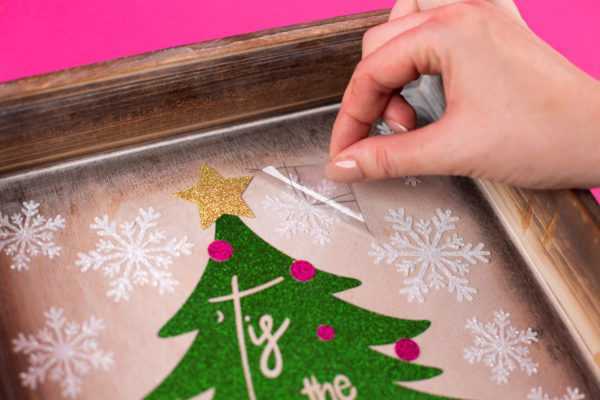 Today we’ll show you how to turn this ‘Tis the Season design and these snowflakes into a glitter vinyl applique that you can apply to a variety of surfaces. 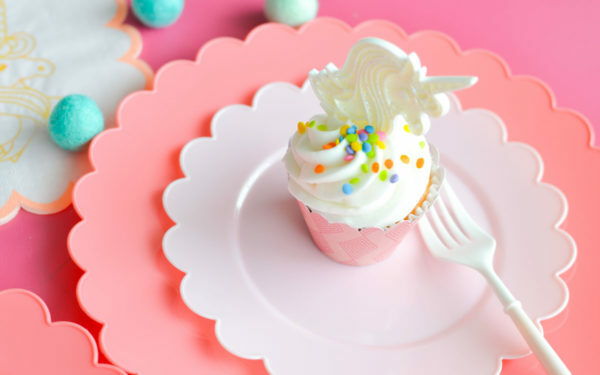 Follow along if you’d like to know how you can make your own! 1. 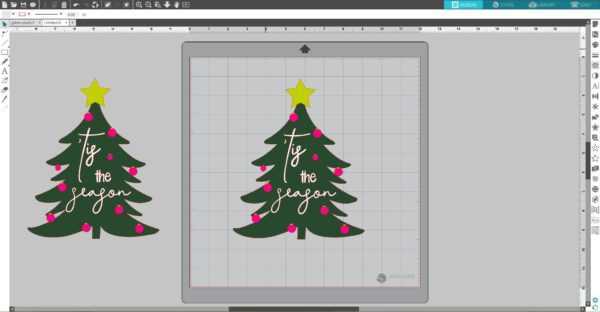 Download the ‘Tis the Season Christmas Tree design (Design ID #280104) from the Silhouette Design Store. Open it in Silhouette Studio® by locating it in your Library, and resize it. Make a copy of the design and place in the holding area. 2. Ungroup the design. 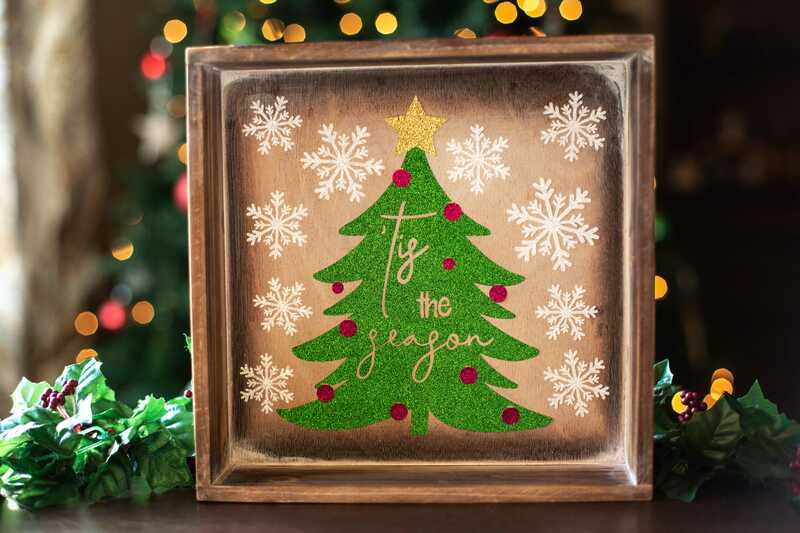 We need to remove some of the tree design so that the vinyl doesn’t overlap. 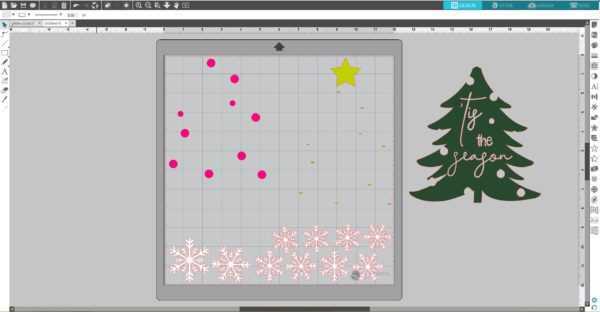 To do that, select all elements of the Christmas tree and open the Modify panel (the icon is located on the left side of the screen). Click Subtract. Group all elements of the tree together and place it in the holding area. 3. Ungroup the tree design we placed in the holding area at the beginning (you’ll have to Ungroup it twice). 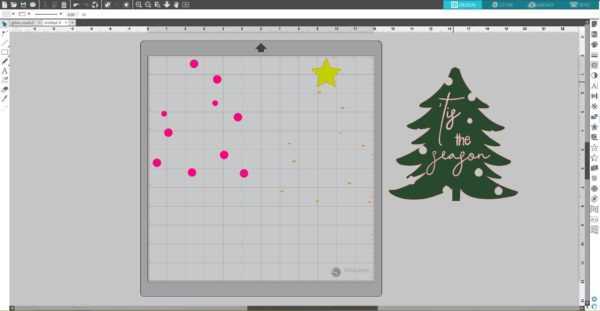 Select all ornament elements, group them and place on the working space. Do the same for the star and yellow ornament elements. 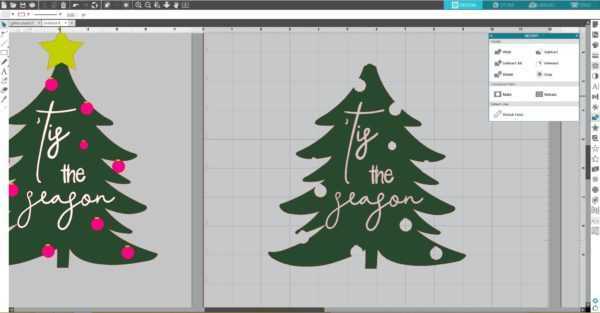 Delete this tree shape so that the only remaining tree shape is the one that you subtracted the ornaments from. 4. Download the Snowflakes design (Design ID #35504) from the Silhouette Design Store. Open it in Silhouette Studio® by locating it in your Library. 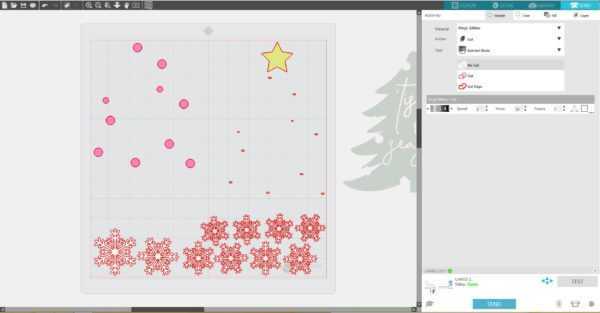 Pick the snowflake you want to use for this project, resize it, and make as many copies as you need. Place them on the working space. 1. 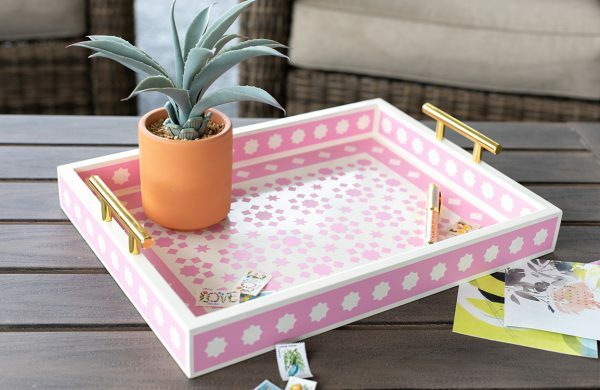 Place pieces of pink, gold, and white vinyl on the cutting mat on the same spots as you placed designs on the working space in the Silhouette Studio®. Make sure the pieces of vinyl are not smaller than your designs. Adjust the rollers if needed, and feed the mat into the cutting machine. 3. 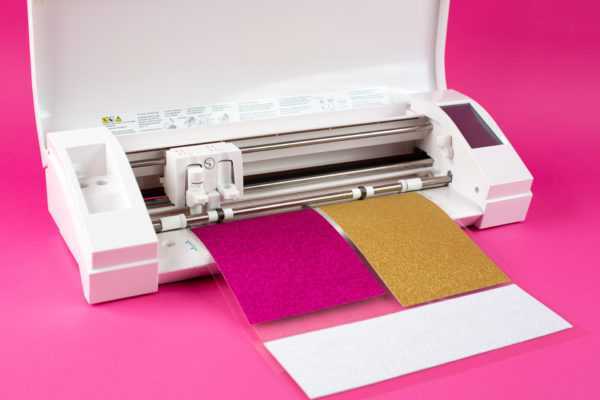 Once the images are cut, select Unload on your machine, and remove the cutting mat from the machine. 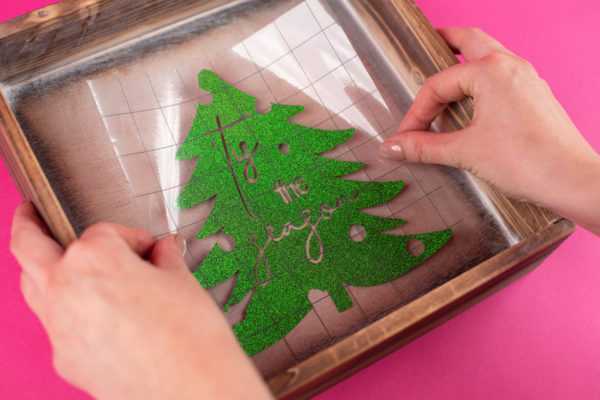 Repeat the same steps for the tree and the green glitter vinyl. 1. Weed (peel away) the negative space so all that remains on the vinyl backing is your design. 2. 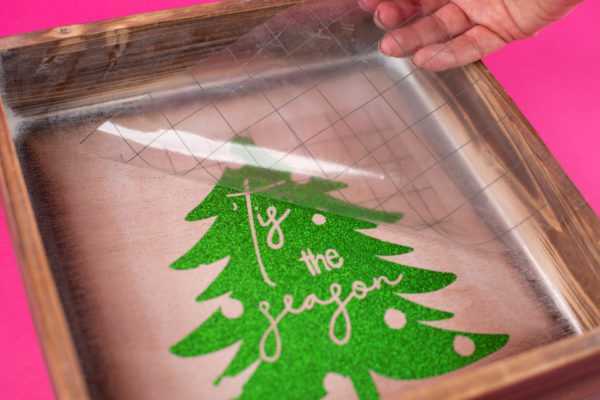 Using strong tack transfer tape, apply the green part of the tree to the surface. 3. Remove the transfer tape. 4. Add the pink elements and then the gold ones. 5. 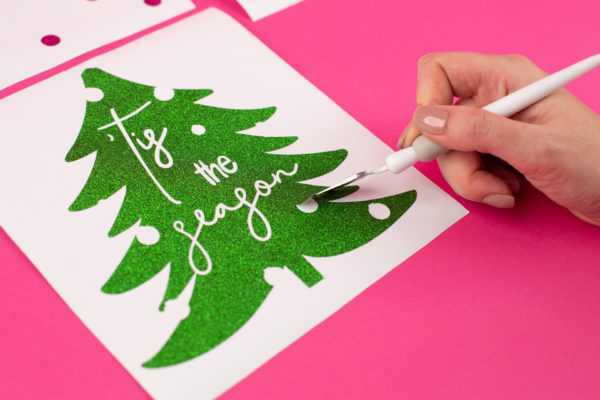 Finish by arranging the snowflakes around the Christmas tree using strong tack transfer tape. 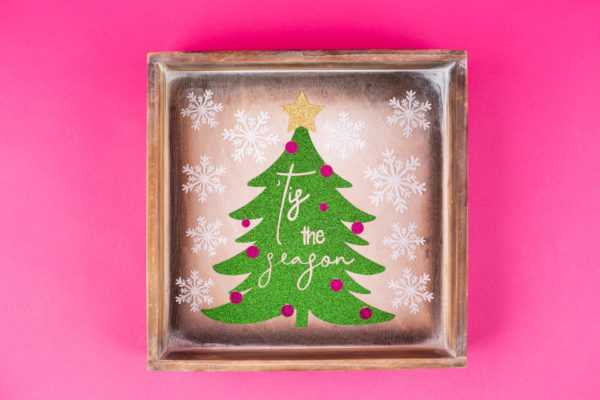 Now we have a fun Christmas box frame that we can hang somewhere or put on a table to display! How are you going to use this design? Let us know in the comments below! Can you make a video tutorial of this? I am a beginner and am struggling with the ungrouping and subtracting. Thanks!